An American physicist known for the Karnaugh map also known as the K-map; a method to simplify boolean algebra expressions. In mathematics and mathematical logic, Boolean algebra is the subarea of algebra in which the values of the variables are the truth values true and false, usually denoted 1 and 0 respectively. It has been fundamental in the development of digital electronics, and is provided for in all modern programming languages. It is also used in set theory and statistics. Born in New York City, he studied Mathematics and Physics at City College of New York (1944–48) and transferred to Yale University to complete his B.Sc. degree in 1949, his M.Sc. degree in 1950, and received his Ph.D. in Physics in 1952, with a thesis on “The Theory of Magnetic Resonance and Lambda-Type Doubling in Nitric-Oxide”. 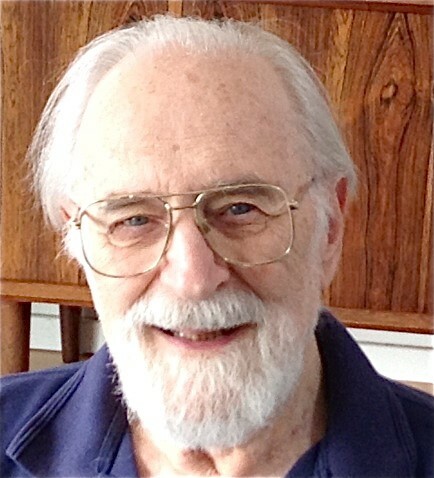 He worked at Bell Labs from 1952 to 1966, developing the “Karnaugh map” in 1954. He also developed patents for Pulse-Code Modulation (PCM) encoding. PCM coding is the standard form of digital audio in computers, Compact Discs, digital telephony and other digital audio applications. He also developed magnetic logic circuits and coding. From 1966 to 1970 he worked at IBM's Federal Systems Division in Gaithersburg, Maryland, and at the IBM Thomas J. Watson Research Center in Yorktown Heights, New York from 1970 to 1989, studying multistage interconnection networks, a class of high-speed computer networks usually composed of processing elements (PEs) on one end of the network and memory elements (MEs) on the other end, connected by switching elements (SEs). The switching elements themselves are usually connected to each other in stages, hence the name. He was elected an IEEE Fellow in 1976, and held an adjunct position at Polytechnic University of New York at the Westchester campus from 1980 to 1999. He has been married to the former Linn Blank Weil since 1970. He has two grown sons, Robert and Paul, from his first marriage. Publications he has authored are: “The Map Method for Synthesis of Combinational Logic Circuits”, Trans. AIEE. pt I, 72(9):593-599, November 1953; “A New Class of Algorithms for Multipoint Network Optimization”, IEEE Trans. Comm., May 1976, pp. 505–505; “Issues in Computer Communications”, IEEE Trans. Comm., pp. 495–498, 1972; and “Generalized Quicksearch For Expert Systems”, in Proc. Artificial Intelligence for Applications, pp. 30–34. 1992. Developer of the Karnaugh map also known as the K-map; a method to simplify boolean algebra expressions; fundamental in the development of digital electronics, and is provided for in all modern programming languages.